For more than 50 years, Viking Yachts has been one of the top brands worldwide in the luxury power yacht and sport fishing worlds. Still owned and operated by the Healey family, Viking designs and manufacturers virtually every Viking part on site other a few major components such as engines and appliances. Building a better boat everyday is and has been the marching order. Resulting in an unparalleled level of quality control and a well-earned reputation for performance, innovation, engineering and luxury. 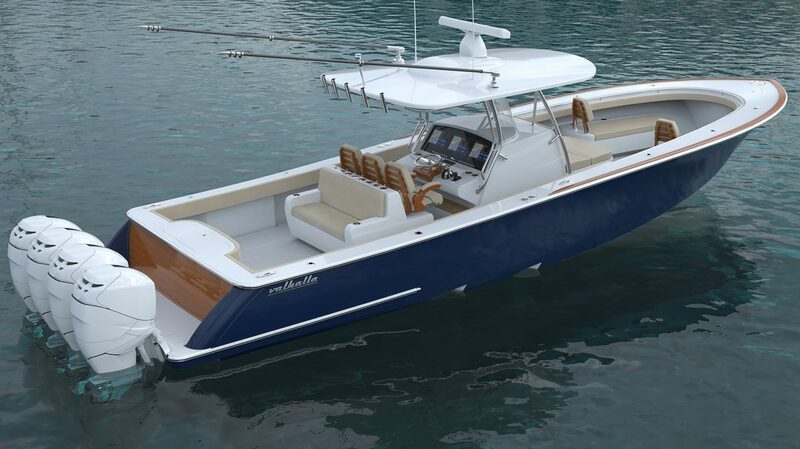 Viking has just announced the formation of a new company, Valhalla Boatworks. Dedicated to designing and building high performance center console powerboats in 33 – 37 and 41’ models. Built to the same standards that have made Viking Yachts an industry leader for 55 years. 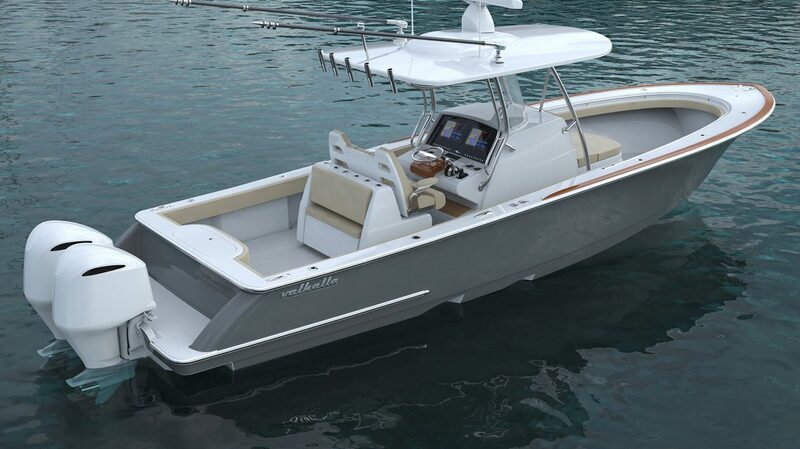 Produced by the Michael Peters design team and the Viking in-house engineers and designers, these classy, luxury boats will be produced in the Valhalla factory in New Jersey. Viking design traits can be found from stem to stern on the V Series boats. Proud bows, gently sloping S-shaped sheers, double forward chines, helm pods, raised toe rails and mezzanine seating are some of the hallmarks. 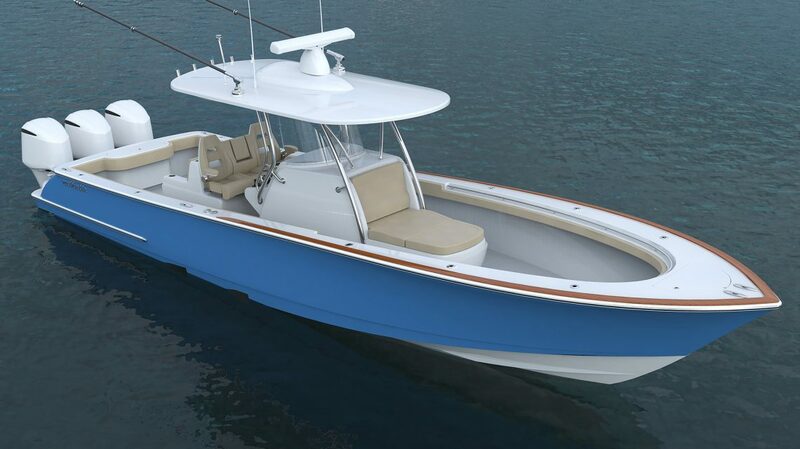 Viking engineering and mechanical prowess shine through as well, with customized Seakeeper installations that do not sacrifice storage or deck space and mechanical, plumbing and electrical systems designed and built to unmatched levels. The 37’ and 33’ will be introduced to the boating public next August with the 41’ following shortly thereafter. If you are a customer for whom only the best will do, contact one of our brokers. When this boat comes in, expect your socks to be blown off!